ILuxury men’s brand in Europe. Even though its origin is cigarette lighter, items have been expanded to pens, watches and others. It has been well-positioned nowadays as status-brand for men. S.T. 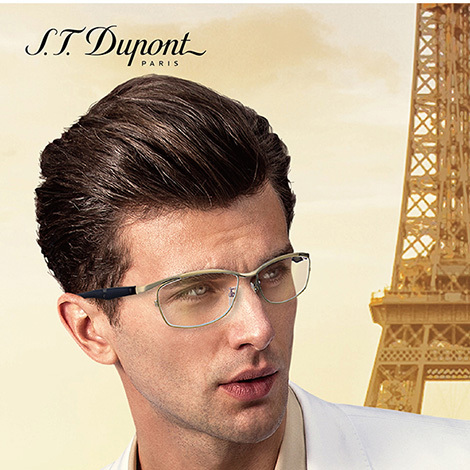 Dupont men’s eyewear with designs derived from three dimensional designs of cigarette lighter giving luxury feeling. Use of titanium and polished epoxy in the temples is expressing pure S.T. Dupont quality.